Very thankful that I have food storage for review, this is from Ozeri. I love their products, as it is sturdy and indeed good for your money to spend. I have 8-pieces which include 4 lids and 4 containers. I love it very secure and seals the container to make my food stays fresh longer. This is another way for you to give to your Mother in laws, or sister in laws who wish to get good gift this upcoming Christmas. I did not realize they had food storage containers. I will definitley go check these out. I have been looking for this kind of storage container. I will check into their website. I heard a lot about Ozeri and the positive reviews about them. I'll check Ozeri's storage containers, I need more. I have one of these coming, can't wait. Awwww! 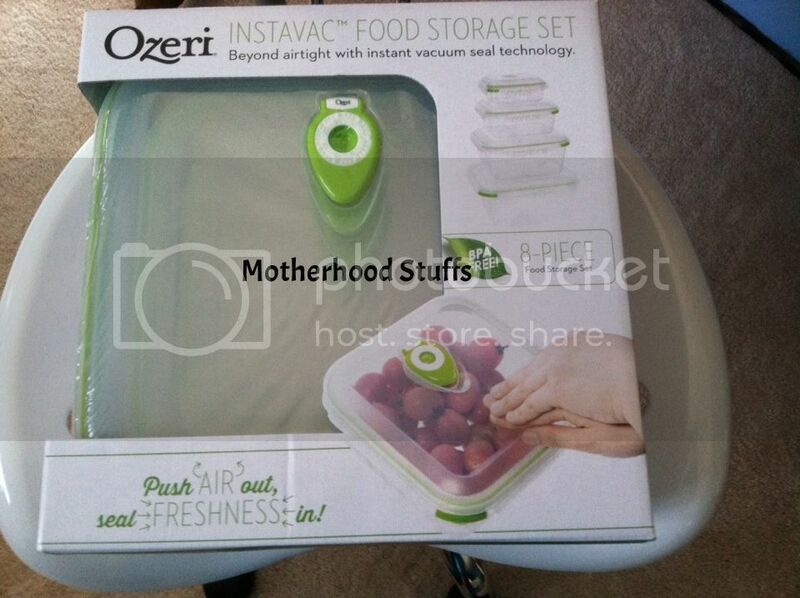 I love ozeri product but I don't have their food storage collections yet.